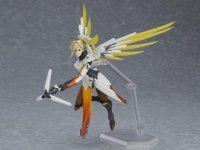 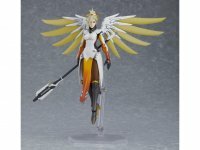 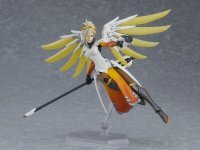 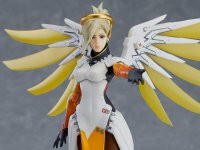 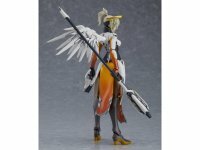 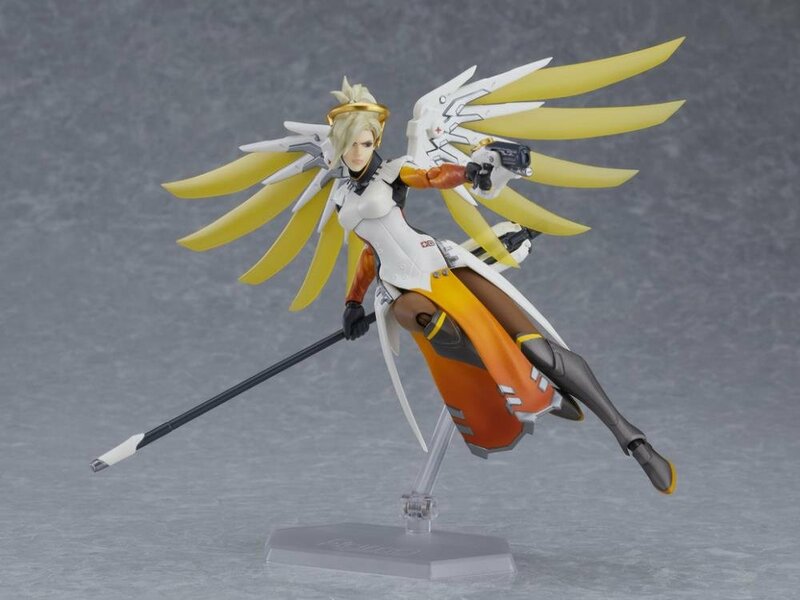 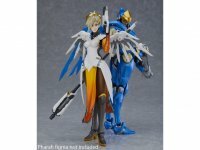 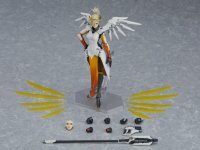 The Healer Mercy joins the team of figma based on the globally popular multiplayer video game, Overwatch! 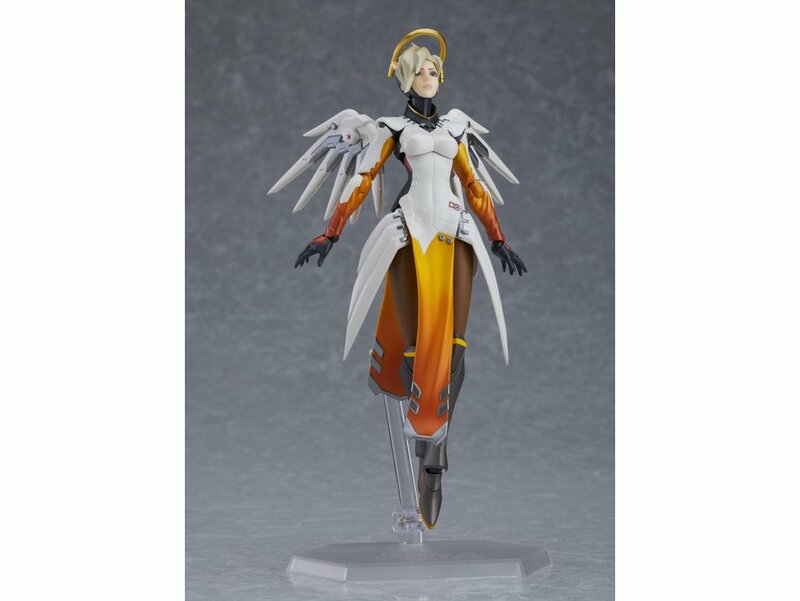 Mercy features smooth and poseable joints to display her in multiple poses. 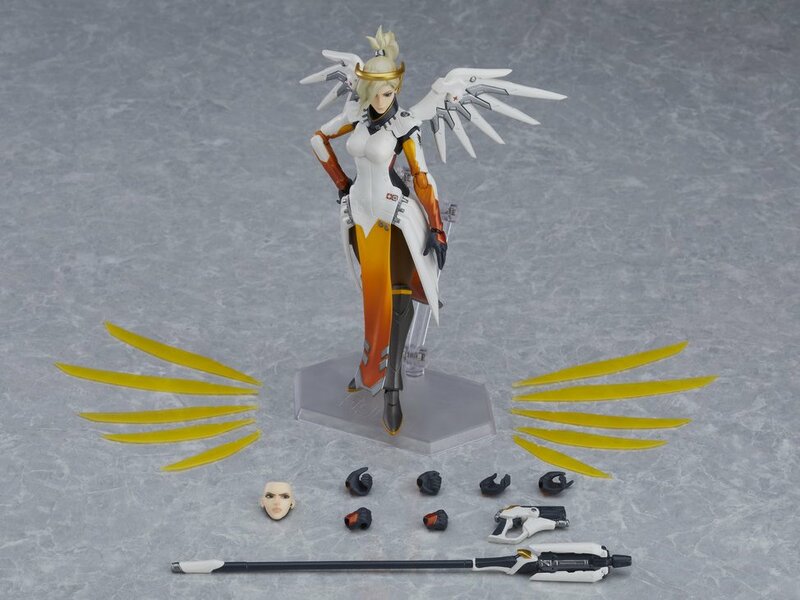 She comes with two face plates, her Caduceus Staff, Caduceus Blaster, and of course her signature wings. 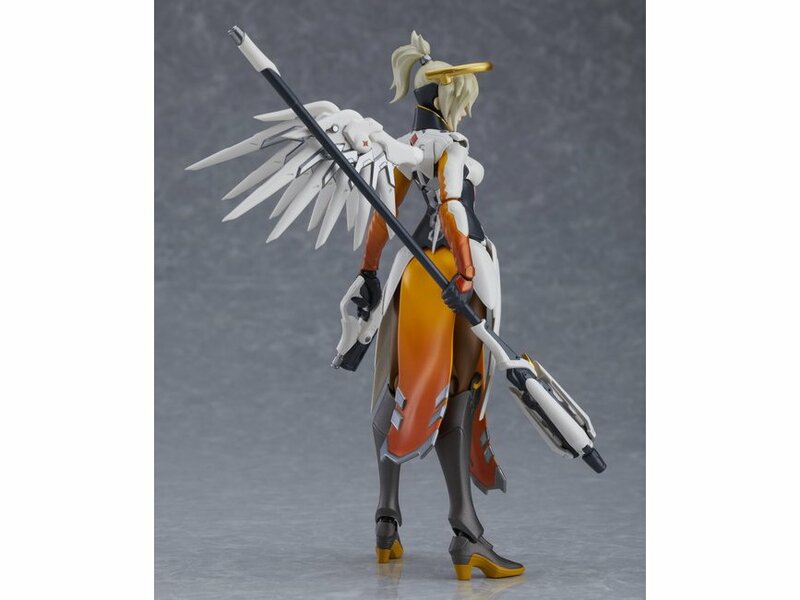 Pose her with her staff opened or closed and attachable wing effects for a beautiful display on her figma stand! 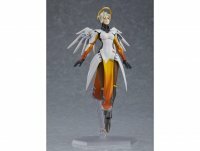 You can pre-order this figure now from our sponsors BigBadToyStore.com or HobbyLinkJapan.com. This is a beautiful figure but id want all of them and that is just too much damn money. 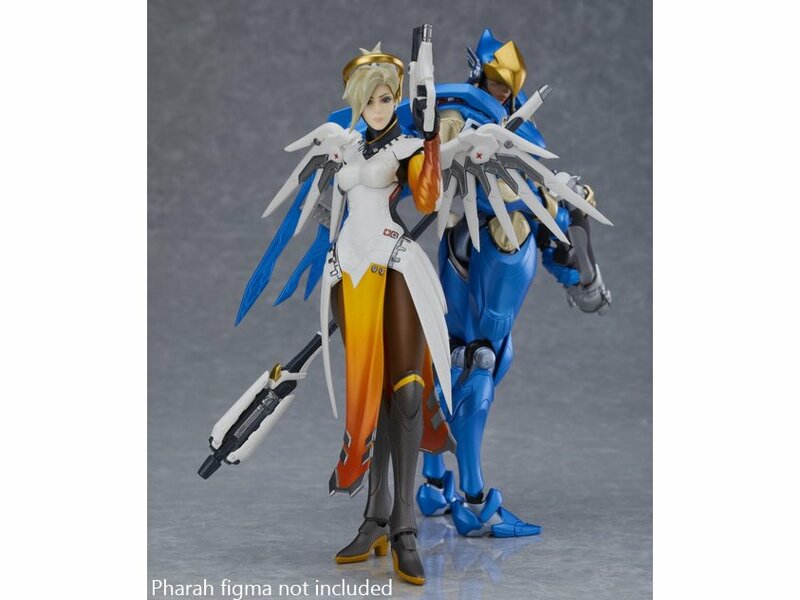 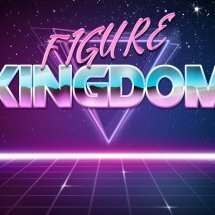 Its good to know we ll have overwatch figure competition with a better price point with hasbro and hopefully they do well with it and make these $80 look alot less appealing for $60 less.